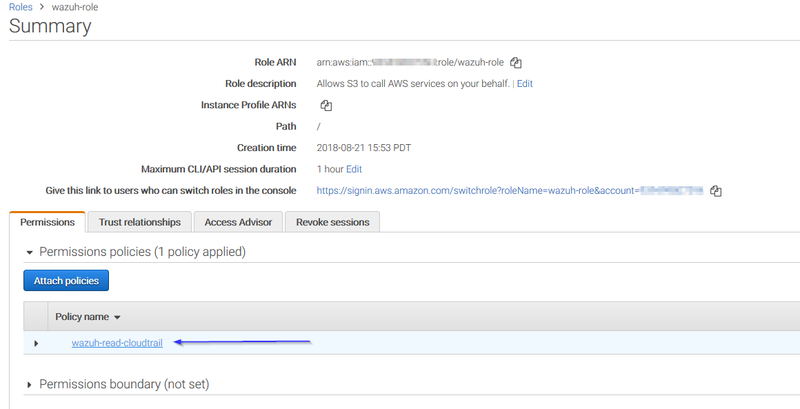 In order to make the Wazuh AWS module pull log data from the different services, it will be necessary to provide access credentials so it can connect to them. 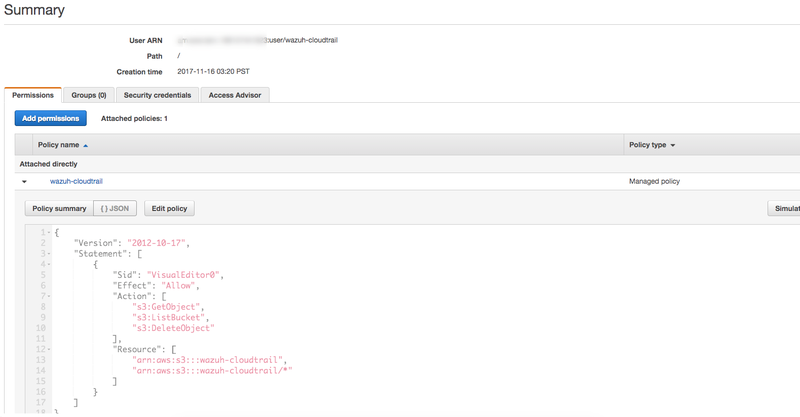 Wazuh will need a user with permissions to pull log data from the S3 bucket. The easiest way to accomplish this is by creating a new IAM user for your account. We will only allow it to read data from the bucket. Click on “Next: Permissions” to continue. We will attach this policy later to the user we are creating. 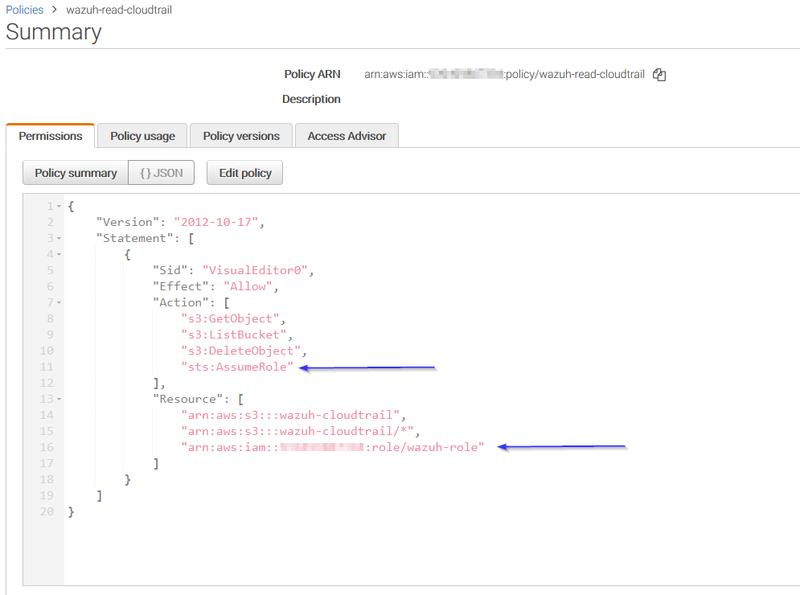 The s3:DeleteObject action is only required if the logs will be removed from the S3 bucket by the aws-s3 module. 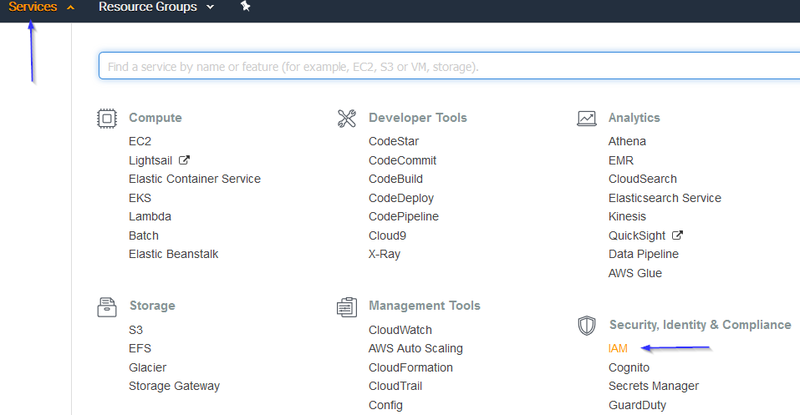 Save the credentials, you will use them later to configure the module. 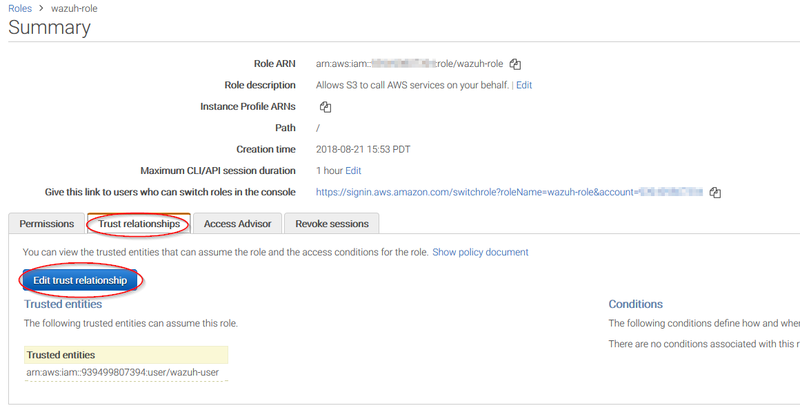 Credentials can be loaded from different locations, you can either specify the credentials as they are in the previous block of configuration, assume an IAM role, or load them from other Boto3 supported locations..
You can define profiles in your credentials file (~/.aws/credentials) and specify those profiles on the bucket configuration. A region must be also specified on the credentials file in order to make it work. 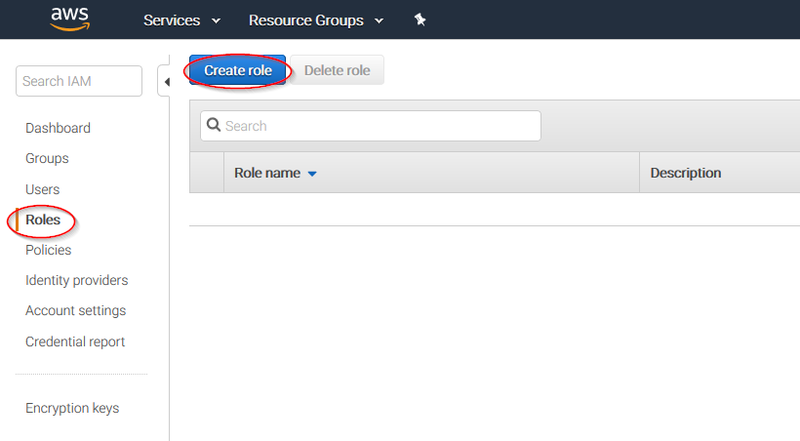 For example, the following credentials file defines three different profiles: default, dev and prod. This authentication method requires some credentials to be previously added to the configuration using any other authentication method. 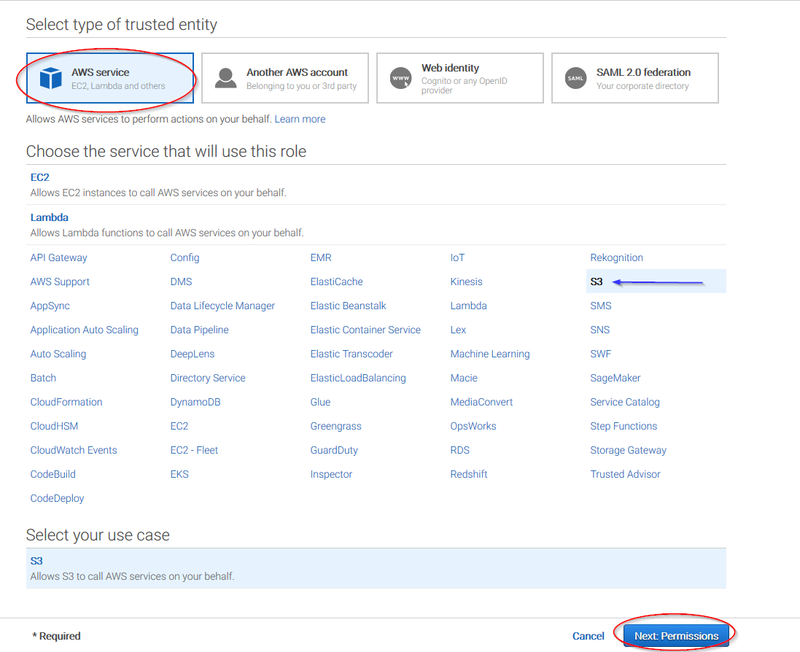 Go to Services > Security, Identity & Compliance > IAM. 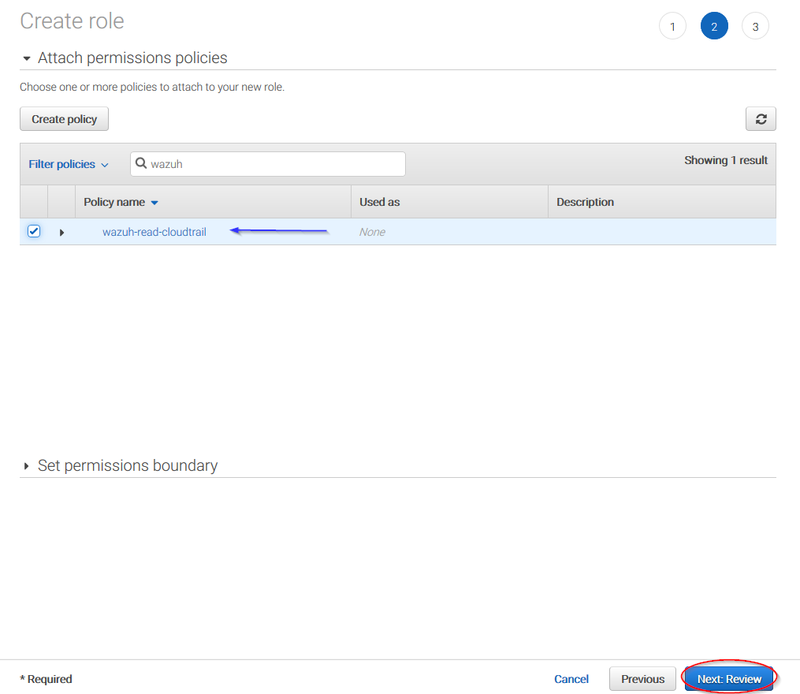 You can use IAM roles and assign them to EC2 instances so there’s no need to insert authentication parameters on the ossec.conf file. This is the recommended configuration. 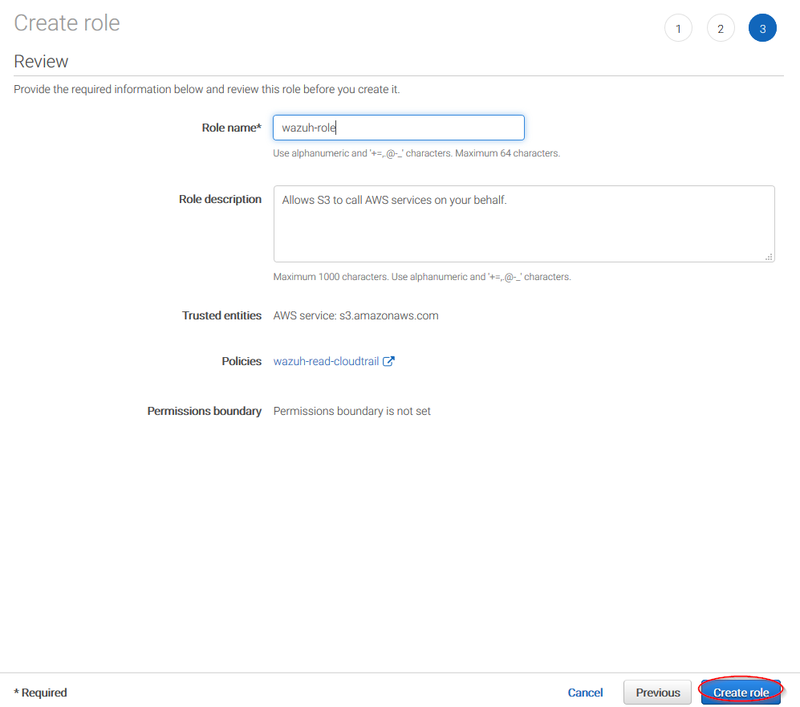 Find more information about IAM roles on EC2 instances in the official Amazon AWS documentation. Another available option to set up credentials is writing them right into the Wazuh configuration file (/var/ossec/etc/ossec.conf), inside of the <bucket> block on the module configuration.